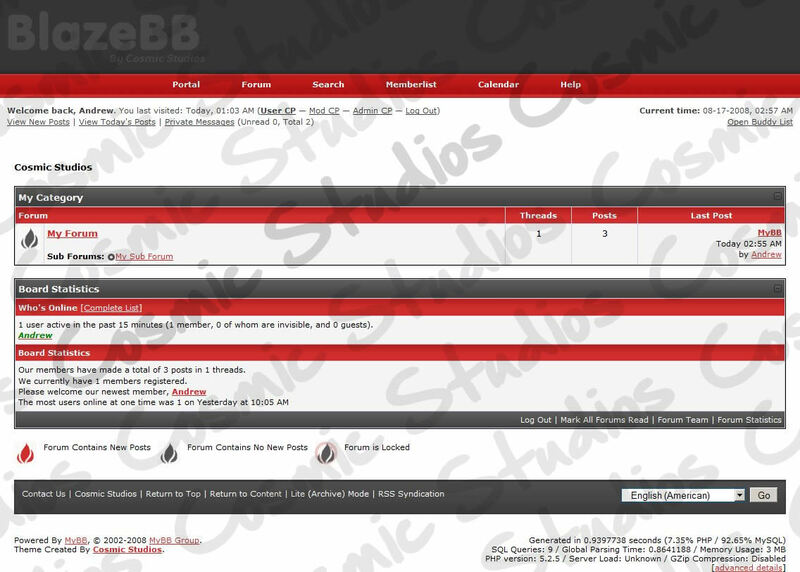 Zitat: The BlazeBB Theme for myBB 1.4 is based upon the original theme called Blaze for VBulletin. It is a simple and effective theme that aims to be professional and have a wide range of uses accross many categories of forums. Please read the included Readme File (readme.html) as that will give you the installation instructions.